YEREVAN (Sputnik) - Candidate for the post of Armenia's prime minister and opposition leader Nikol Pashinyan said Tuesday he is ready to hold talks with Azerbaijan's leadership on the settlement of the Nagorno-Karabakh conflict. BAKU (Sputnik) - Azerbaijani lawmaker Gudrat Hasanguliyev warned on Tuesday that the situation in Armenia might turn into a civil war and insisted that Baku should use the opportunity to return the breakaway region of Nagorno-Karabakh. The Azerbaijani Defense Ministry accused their rival Armenia of violating a ceasefire along their disputed border 94 times in a 24-hour window. An Israeli drone manufacturer has been accused of attempting to test one of their weapons systems on an Armenian military position on behalf of Israel’s defense partner, Azerbaijan. 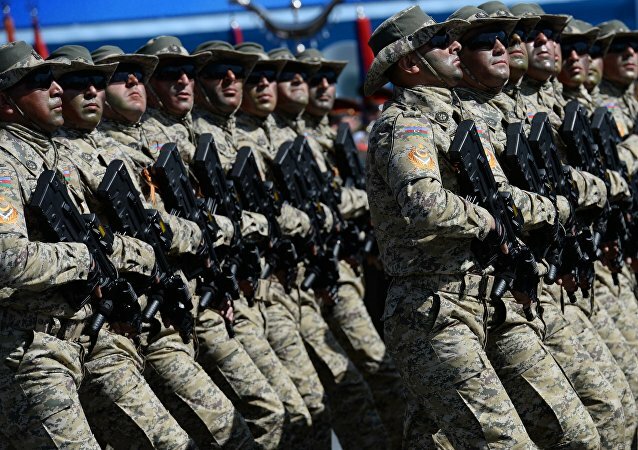 Nagorno-Karabakh conflict settlement talks are not bearing fruits while tensions are growing along the zone of military operations between Azerbaijan and Armenia, Azerbaijan's Defense Minister Zakir Hasanov said in an interview with RIA Novosti. Azerbaijani President Ilham Aliyev and his Turkish counterpart Recep Tayyip Erdogan discussed the settlement of the conflict in Nagorno-Karabakh, the Azerbaijani leader's press service reported Monday. The only solution to the conflict in Nagorno-Karabakh is a peace settlement reached during the negotiations, US Department of State's spokesperson Heather Nauert said at a press briefing commenting on the recent escalation of hostilities around the Azerbaijani split region. Russia considers further bloodshed in the Nagorno-Karabakh conflict zone unacceptable and calls upon all sides to stabilize the situation, Foreign Ministry spokeswoman Maria Zakharova said commenting on the latest ceasefire breach in the area. 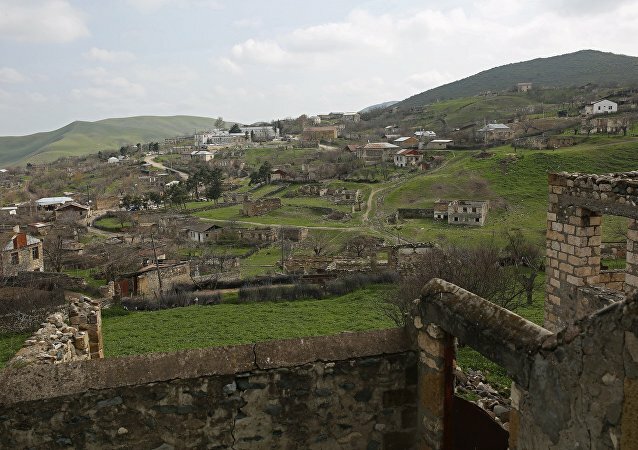 Over two dozen Russian citizens with Armenian-sounding surnames, names or patronymics were denied entry to Azerbaijan since the start of the year in a clear sign of ethnic discrimination, the Russian Foreign Ministry said Wednesday. The Armenian armed forces opened fire on Tuesday at the settlements on the contact line in the disputed Nagorno-Karabakh region, there are killed and wounded, Azerbaijan's Defense Ministry said. 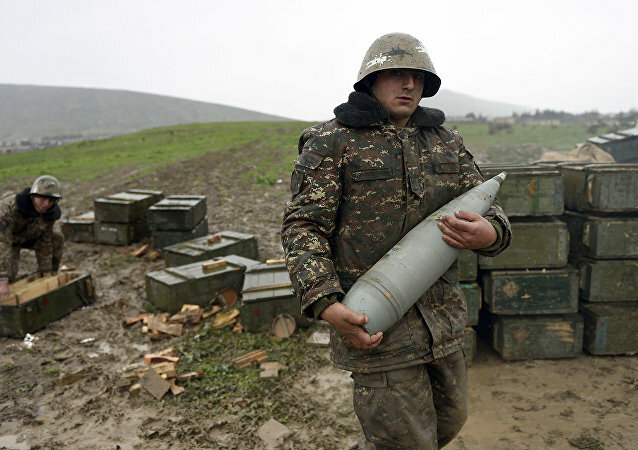 According to Azerbaijani Defense Ministry, Armenia has violated the ceasefire in the breakaway region of Nagorno-Karabakh 120 times during the past 24 hours. Poland’s President Andrzej Duda said that Warsaw supports conflict settlement in the breakaway region of Nagorno-Karabakh within territorial integrity of Azerbaijan on the basis of four resolutions adopted by UNSC.